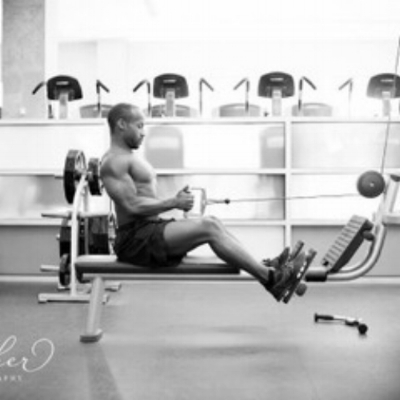 A Personal Trainer who specializes in athletic, functional, strengthening and weight loss training to celebrities, JR Allen is the type of in-the-know Expert we’re extremely proud to have as part of the Romio family. But best of all, JR's success is due in part to living the Romio lifestyle – and that goes beyond just stopping by the Romio Penthouse to hang out on our couch, share some wisdom and encourage us to get in shape. JR owes his unique and successful career to listening to the advice and following the guidance of a trusted expert in his life – celebrity trainer, Mark Jenkins – who helped sculpt the bodies of Beyonce, Sean “Puffy” Combs, LL Cool J and Tyler Perry. Mark became JR’s mentor, teaching him to be innovative and creative with each client to address their particular needs. After becoming a respected and valued member of the Magnus Functional Training Group training, JR set out on his own. Today, he’s the owner of 2daybefit – a specialized Personal Training company that services everyone from celebrities and executives of major corporations to people that simply want to lose weight and feel good about it. JR works with clients to design individualized programs to reach their fitness goals as well as help them gain a better understanding of the importance of fitness, nutrition and wellness. We’re excited to have him as one of the first Romio Experts, where his genuine interest in helping others with their health needs will be accessible to more people than ever before. "I am excited to be a part of the Romio app as an Expert,” notes JR. “The family environment Romio has put together is so welcoming, it makes you feel at home. Being in NYC for 13 years and connecting with people through various industries, it is great to have someone like Tarik Sansal actually put this concept together by connecting Experts with Experts and New Yorkers with Experts, providing a trustworthy networking app for locals."